Route 1 // 9:30am - 1:00pm // 6 mile route. 6 stops. Route is a self-driving route. Route 2 // 10:00am - 1:30pm // 6.5 mile route. 6 stops. Route is a self-driving route. Route 3 // 10:30am - 1:30pm // 6.75 mile route. 5 stops. Route is a self-driving route. Route 4 // Noon - 3:00pm // 6 mile route. 5 stops. Route is a self-driving route. All routes are self-driving, but several stops on routes are walking distance, or bike-friendly from one another. If you have questions on transportation please feel free to contact us. - Tickets include an event bag with Crawl goodies, and admittance to all stops on your selected route (includes a drink sample, and short, educational presentation at each stop). You will receive the event bag at the start of your route. All drink, and even edible, samples are at the discretion of participating shops, and planned ahead by their team and staff. - Caffeine Crawl and The LAB will not be held responsible for any travel-related incidents while attending Caffeine Crawl. By purchasing a ticket, you agree to the Terms & Conditions, maintaining full responsibility for your personal and vehicular safety, and your own items, while traveling between shops by foot, car, bus, or bicycle. Routes 1 and 2 are sold out. Route 1 ticket holders - This route begins at Zingerman's Coffee Company (3723 Plaza Dr #5, Ann Arbor, MI 48108) at 9:30am, sharp! See map. 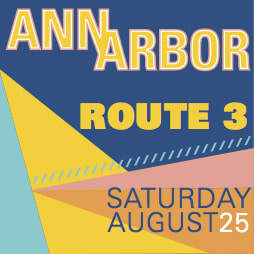 Route 2 ticket holders - This route begins at Electric Eye Cafe (811 N Main St, Ann Arbor, MI 48104) at 10:00am, sharp! Parking suggestions: Can park next store at Van Winkle Mattress Company on opposite side of building from coffee shop, or in empty lot at NE corner of Summit and Main, almost directly across the street from shop. Electric Eye has a small parking lot. Only 4 tickets left. This route 3 visits 5 stops on a 6.75-mile Saturday course. This route begins at Zingerman's Coffee Company (3723 Plaza Dr #5, Ann Arbor, MI 48108) at 10:30am, sharp! Other stops include Black Diesel Coffee, RoosRoost Coffee, Comet Coffee, and concludes at Literati Coffee. This route ends at 1:30pm. This route is a self-driving route. This route 4 visits 5 stops on a 6-mile Saturday course. 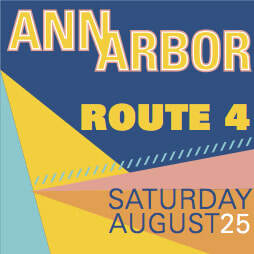 This route begins at Zingerman's Coffee Company (3723 Plaza Dr #5, Ann Arbor, MI 48108) at noon, sharp! Other stops include Black Diesel Coffee, Comet Coffee, Teaspressa, and concludes at Electric Eye Cafe. This route ends at 3:00pm. This route is a self-driving route.